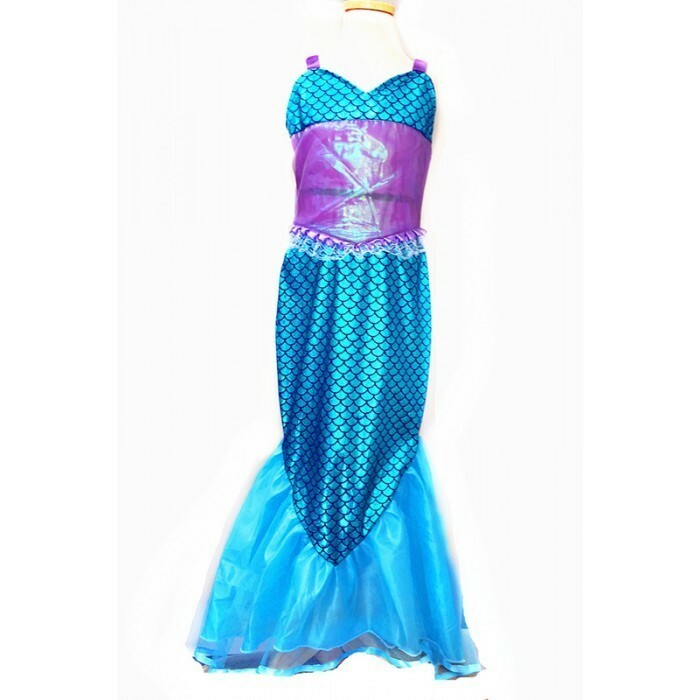 Inspired by the Disney movie, this little mermaid costume will dazzle your little girl when she puts it on and transforms into a princess of the sea. Made of 100% polyester, it is durable, washable, and comes with a jeweled tiara. Available in three sizes. Just add water and make a splash at the next party!